At last check, Pitt was still gaining yards on the ground against Duke, which until a week ago had been playing pretty stout against the run. The Panthers (4-4, 3-1 ACC) gained 484 yards in the run game in their 54-45 win over the Blue Devils, getting the attention of the UVA coaching staff with a short week heading into Friday’s matchup at Scott Stadium. The 22nd-ranked ‘Hoos (6-2, 4-1 ACC) are atop the world, or anyway, the ACC Coastal, picked last in the preseason, but now with an inside track at Charlotte, assuming a lot. 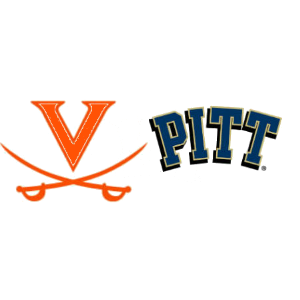 No one in Charlottesville is assuming anything when it comes to Pitt, which has been a bit of a Jekyll and Hyde in 2018, with wins over Georgia Tech, Syracuse and Duke, all at home, an inexplicable loss at UNC, blowout losses to Penn State and Central Florida, and then a solid performance in a narrow loss at Notre Dame. They run. A lot. Pitt runs on 62.4 percent of its snaps, and gets 61.3 percent of its total offense from its run game. The first among equals is Qadree Ollison, the John Blutarsky of this group, because seriously, hasn’t that guy been there for six, seven years? Actually, Ollison is officially just a fourth-year senior, averaging 99.4 yards per game in 2018, third in the ACC, and gaining an impressive 6.3 yards per carry. Also need to watch out for Darrin Hall (429 yards, 6.1 yards per carry in 2018) and freshman defensive back V’Lique Carter, who saw his first action in the backfield in the Duke game, and put up 137 yards and two touchdowns, including a long of 62. Coach Pat Narduzzi brings a gritty Midwest sensibility to the run game. The Panthers are big up front, and their big uglies will lean on you to create lanes for their fast guys. QB Kenny Pickett is efficient enough, completing 60.6 percent of his passes, for 1,156 yards and 8 TDs, with 5 INTs and a modest 121.0 passer rating, 13th in the ACC. Pickett has three main targets – Maurice Ffrench (19 catches, 294 yards, 4 TDs), Taysir Mack (12 catches, 22.1 yards per catch) and Rafael Araujo-Lopes (20 catches, 10.8 yards per catch, 3 TDs). You’d love to hear me say Jordan Mack is back in the two-deep at linebacker. Well, maybe? UVA coach Bronco Mendenhall said Monday that Mack may be available Friday night for Pitt, but Mack will almost definitely be ready for Liberty on Nov. 10. Which doesn’t do us much good this week, that last bit. Either way, UVA has been pretty good against the run this season, with or without Mack. Currently, the ‘Hoos are fourth in the ACC against the run (113.0 yards per game), and Virginia is also third overall in total defense (327.4 yards per game). QB Bryce Perkins is having a solid first season as the starter (63.1 percent completion rate, 1,623 yards, 15 TD/8 INT, 141.4 passer rating, 71.9 yards per game, 6 TDs rushing), to say the least about that. Jordan Ellis is sixth in the ACC in rushing (85.4 yards per game, 5.3 yards per rush, 7 TDs). Olamide Zaccheaus is trying to make life hard for me as a first-year Biletnikoff Award voter (56 catches, 690 yards, 6 TDs). Ooy, Pitt can move the ball. The UVA D is most susceptible to the run, but the ‘Hoos have done well lately in mitigating the ground game. I’d game-plan to score as many points as possible. Pitt will score. But as good as the Panthers are on offense, they may be as bad defensively, allowing 436.0 yards total offense (12th ACC) and 32.6 points (11th ACC) per game. Which is to say, this Pitt team, which can gash, can also be gashed. You don’t need to stop Pitt; just slow them down. They can’t stop you.